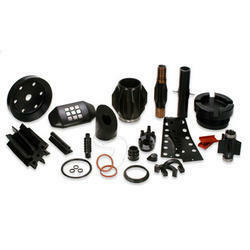 Leading Manufacturer of customized rubber spares parts from New Delhi. Our organization is engaged in manufacturing and exporting premium range of Customized Rubber Spares Parts. These are manufactured by using state of the art designing technologies and offered in diverse types, sizes, and dimensions precisely as per clients’ requirements. These are stringently tested for quality in accordance with preset protocols of the industry and offered at competitive rates.